I know that ‘upside-down’ smile can be a frown, but when you put it in your poem, it just seems wonderful. Having a misty day here in Denver is a blessing. Glad you had the rain, too, thus a poem! Thank you, Linda. We’re having a misty day here, too. Karin, rainbows always signify a special moment of happiness for me. Upside-down smiles are the rainbows of our lives. We wait for opportunities to happen. Thanks, Carol. What you wrote really resonates with me. I remember rainbows, and they are linked to special moments. I see it more as a smile on someone standing on their head…or doing a cartwheel! It’s a joyful smile that can be seen even upside down – and rainbows are usually seen when the weather is a little topsy-turvy! Yes, exactly! That was what it felt like in the moment–the beauty and the silliness together like a cartwheel. Thank you, Donna. Stops by for a quick natter. Thank you, Charles! I love that. How wonderful to get a rainbow-poem comment. I’m so thankful for these moments, when life crystallizes into poetic goodness. Thank you for sharing your tanka in this month’s challenge! I am thankful for them, too, and I love how you said that: “when life crystallizes into poetic goodness.” Thanks so much to you and Margarita Engle for the inspiration. Thank you, Brenda! I’m looking forward to your tanka! I do love the topic. 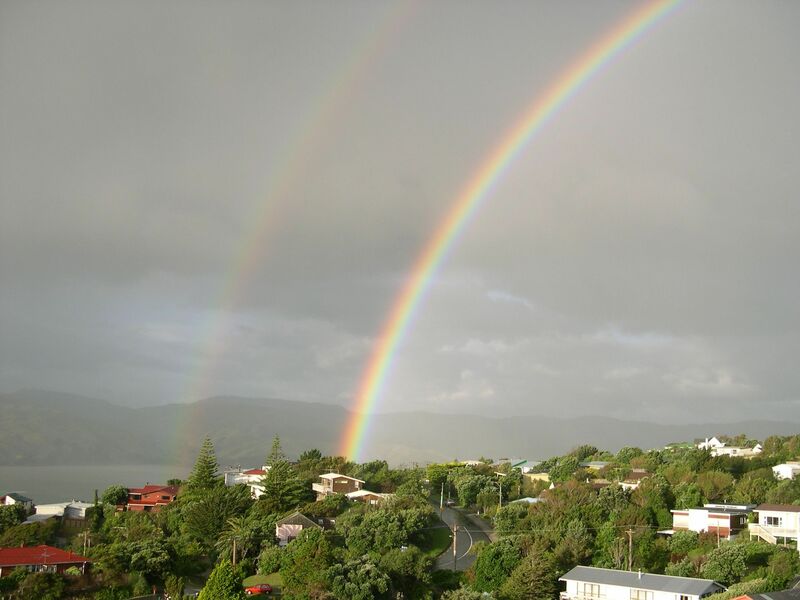 A real rainbow sighting is so special–glad you caught it and it caught you! I love that you found the beauty of the less than perfect weather and shared it with us in your tanka. That photo is an incredible sight! Thank you! I do love rainbows. “Around” and “down” work so well together. I hope you get a good, soaking rain — with rainbow — soon, Karin. Thank you, Laura, for the comment, and the soaking rain wishes–we can sure use them. I love hearing the story of how poems happen, and the author’s thoughts about their meanings! We often had rainbows in eastern Colorado. Not so much here in muggy Ohio. Thank you Mary Lee–I love hearing those stories, too. Interesting to be reminded that some places are more prone to rainbows than others. I’m so glad we get the occasional ones here. I hope one surprises you in Ohio one of these days soon.